Ride of Steel is by far the best coaster in the park. Tantrum (Gerstlauer Eurofighter) became the first new coaster since Motocoaster. Other than that the coasters are average. 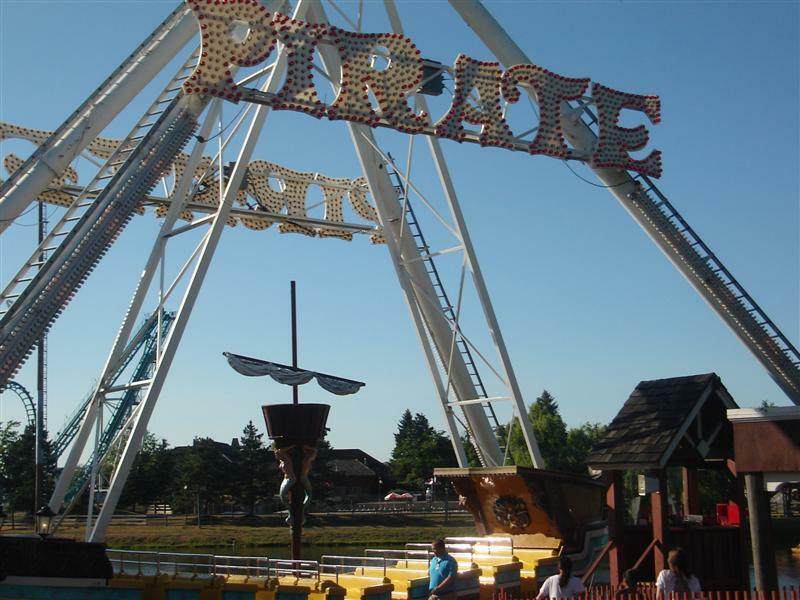 However, the park has a good selection of flat rides, as well as water rides that are soakers. 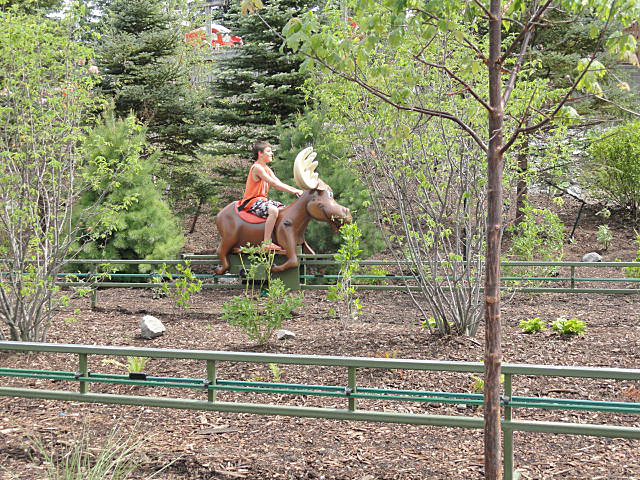 Silver Bullet, Sleigh Ride, and Rodeo Roundup are worth riding if you have time. One of the best attractions at Darien Lake is the Fascination Parlor, one of only three remaining in the US. Fascination was a very popular game in the golden age of amusement parks, and the air conditioning in the Fascination Parlor and addictive nature of the game are irresistible on a hot day. Two Subway locations can be found in the park. Beaver Brothers Lakeside Cafe is the largest eatery, serving breakfast in the morning and burgers, salads, and finger foods throughout the day. Pizza, pasta, chicken, hot dogs, sausage, and tacos can also be found at the park. One unqiue place to snack is Captain Frye's, where you can get fried onion rings, cheese sticks, or mushrooms. The park generally opens in mid-May a couple of days each week before daily operations start in late-June and continue through Labor Day. Weekend operations extend the season into mid-October. Exit 48A off New York State Thruway (I-90) and travel six miles south on Route 77 to 9993 Allegheny Road, Darien Center, NY 14040. Darien Lake has multiple options on site: Lodge at the Lake, cabins for rent, RV hook-ups, and traditional camping. 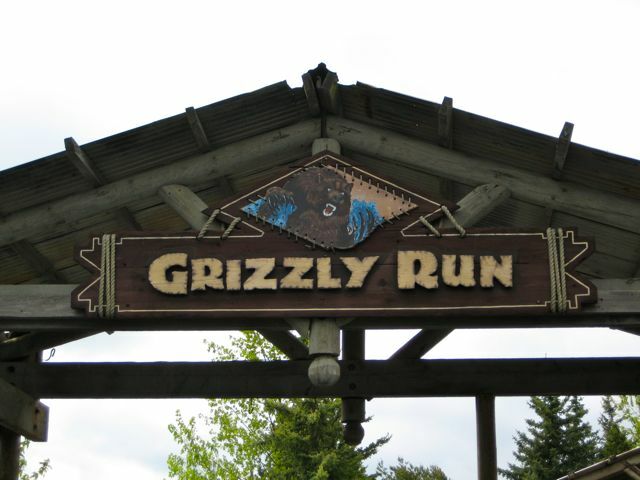 Info can be found on the park's website. 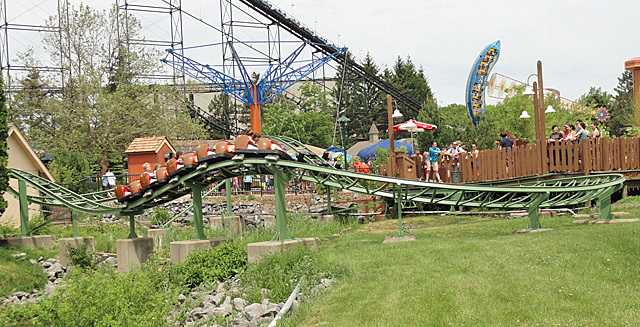 The park has some unique and thirlling flats to complement a popular coaster. Also, all the water rides have the potential to leave you drenched. 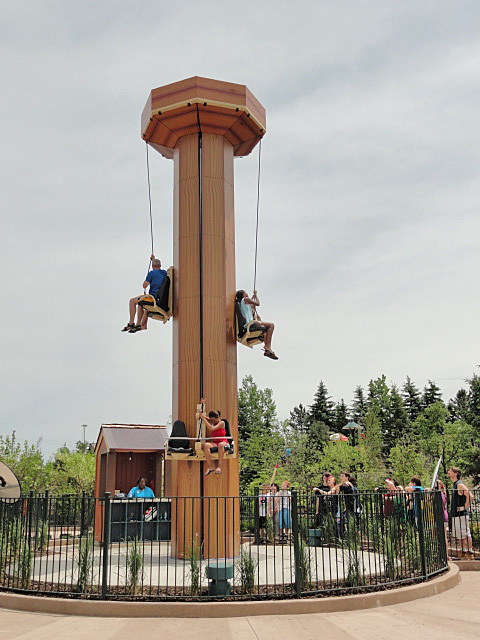 There are sufficient rides for families with kids, but those under 48" tall will be unable to ride the coasters. I didn't get to go on Ride of Steel, and the Motocoaster was down. Predator is a decent woody, bu it needs some TLC. Mind Eraser is a decent suspended looping coaster, but you still can't avoid headbanging. Viper is okay, but not the best. Boomerang is just another clone. 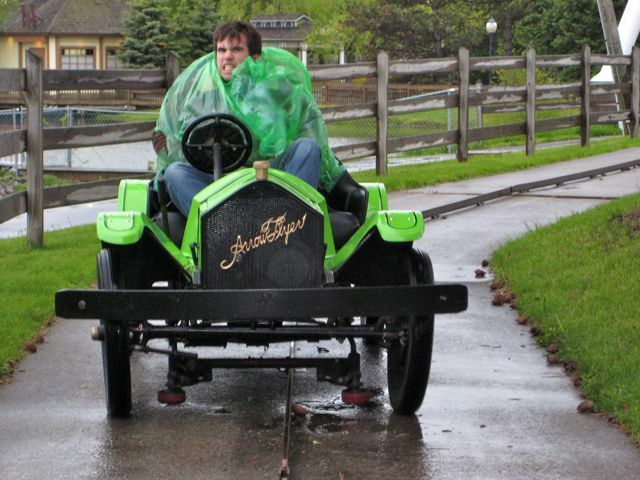 The customer service is mediocre at best, and the ride ops aren't very friendly. It's worth a visit if you live in New York, or the surrounding states, but it is not a destination park. The park is a rough one, all of the coasters are rough. The Ride Of Steel after it's update with the new shin guard restraints kill the abs as well as the legs. Sadly the best ride at the park is the boomerang. When my family went there they were surprised by the lack of shaded areas the SLC provided the finishing blow and my mom suffered from heat exhaustion and we left early. the security team is top notch though, they booted a racist guy out of the park. 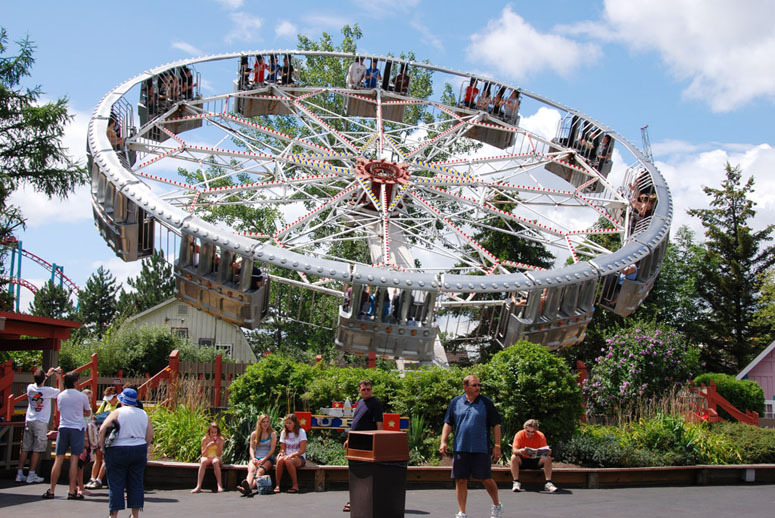 Darien Lake is a nice park in that they have a good variety of rides and the park is more nicely themed than your average Six Flags or Cedar Fair park. 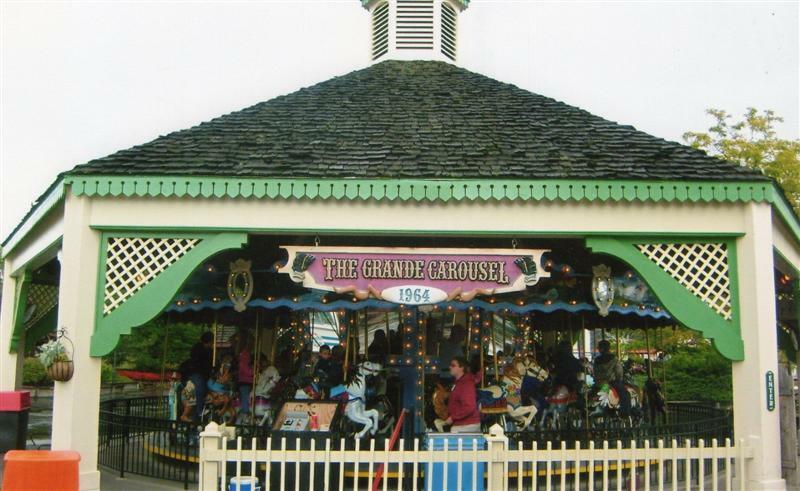 The park also has a great selection of rare flat rides and plenty of other non-coaster attractions for the whole family. However, it does need some work. While Ride of Steel is an outstanding coaster, they lack any other notable coasters and Moto Coaster is the only other one that might be worth a second ride. In addition, operations were slow, with one train on the more popular coasters but two on rides that were walk-ons and operators that take 2+ minutes to dispatch a train. Hopefully Herschend will give this park some attention, as it definitely has potential. I have never been on Viper until recently, and I must say it is a very good coaster considering that it is 30 years old and is built by Arrow. The ride was smooth and very forceful through the inversions. I think that Viper and Ride of Steel alone are worth a visit to the park. 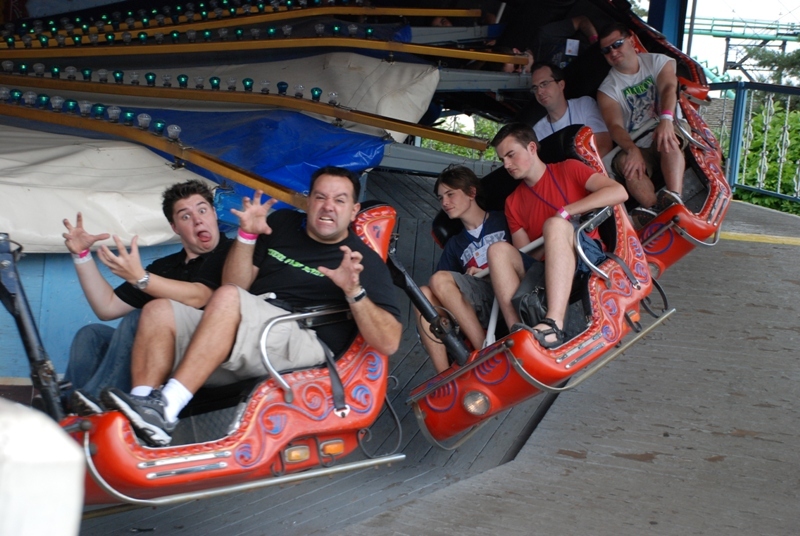 Don't get me wrong, Darien Lake is a nice park. The lakes are gorgeous, and the park is decently landscaped. I would prefer a few more trees however. And the flat ride collection is fairly good with several classics. Though the park is missing some good "thrill ride" flats. 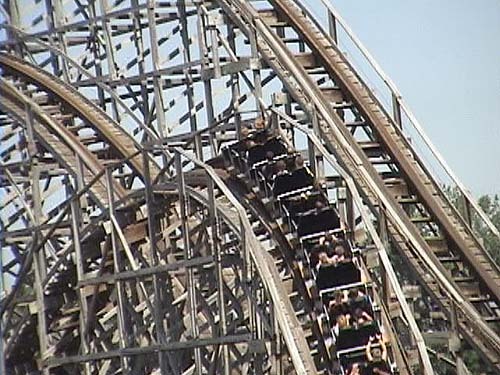 The coster collection would be average to sub-par, but it is saved by the stellar highlight of the place - Ride of Steel. Intamin's first megacoaster does not disappoint, as it is chalked full of blazing speed and great pops air. Plus the first drop over the water is magnificent! 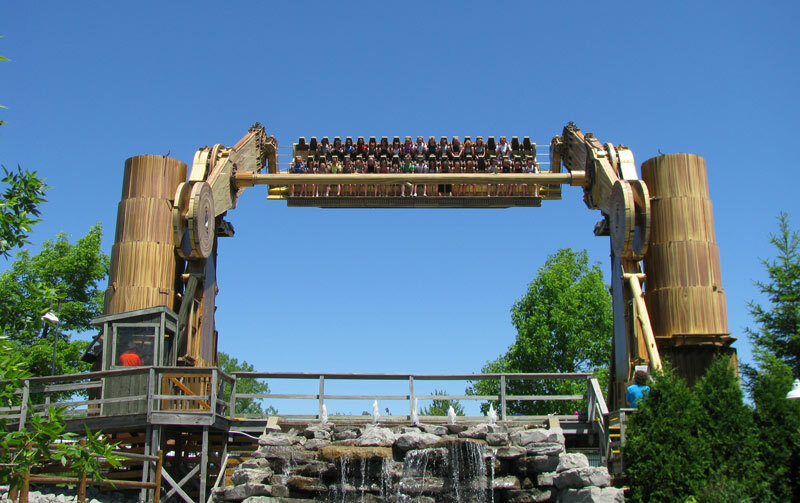 By contrast, the park is also home to one of the worst wooden coasters in existence - the abomination known as Predator. All in all though, worth a trip if you're in the area. I have to say that this park hasn't improved, but hasn't gotten worse from what it was when it was owned by the Six Flags Corporation. 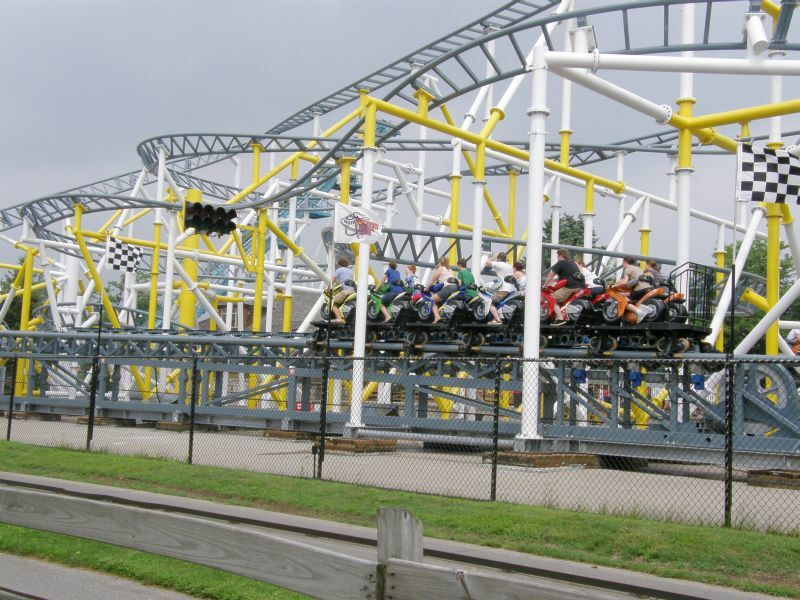 Their is a decent array of coasters, the wooden coaster, the motocoaster, the boomerang, and the hyper coaster. They are all fun and I have never really had a problem with wait times here. I like this park. Well - maybe not by the lake specifically. But it has a lake within it's bounds and limits. This park was well run when it was under the Six Flags name and it's still run fairly well even after the sale. Being a person who's been to the park pre and post-sale I can say it's one of the parks that faired better then the other sold parks. Staff were attentive and prompt - when I had an issue when I was there back in 2005. They made sure to write down my complaint and got on the radio while I was in Guest Relations to figure the problem out. It ended up being a miscommunication - was given food vouchers and a front of the line pass for it. Ride of Steel is a must ride Intamin - easily the best ride in the park. But avoid the SLC and Predator! 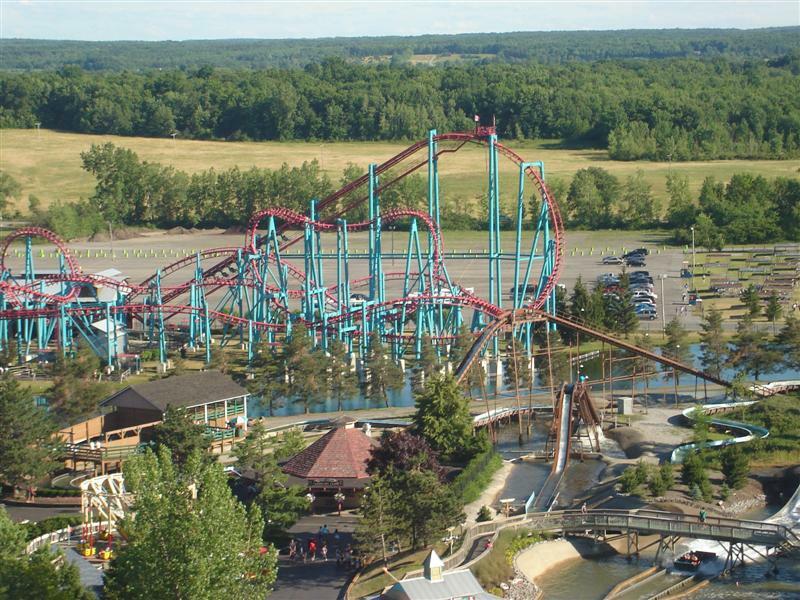 Darien Lake is a pretty decent park at a reasonable price. You can often get discount tickets at Wegmans (a local grocery store chain). Ride of Steel in my opinion is worth a trip if you haven't been before. Sure it won't stack up to i305, but it is a very decent Mega in my opinion. The recent expansion of SplashTown is another reason to visit during the hot summer months. It is a pretty decent water park, although lines can get long, especially for the lazy river. If you have young children they have a really nice kiddie area. I honestly think it is one of the nicest parts of the park. I wish the rest of the park could look as nice as the children's area. Stay away from the SLC if you can, if you've been on one you know. We go here annually not because they have the best rides, but because it is a nice laid back weekend getaway. As long as Ride of Steel is up and running you know you're going to get one world class ride. The rest of the coasters are fun but nothing special. The flats are cool, and the beer is readily available. Food options are somewhat lacking but there are good pizza places around. Always a fun weekend, but check ahead to make sure the Ride of Steel is operational before going! Darien Lake is an O.K. park with a lot of rides dating from the early 1980s, but the park needs some improvements in the landscaping department. 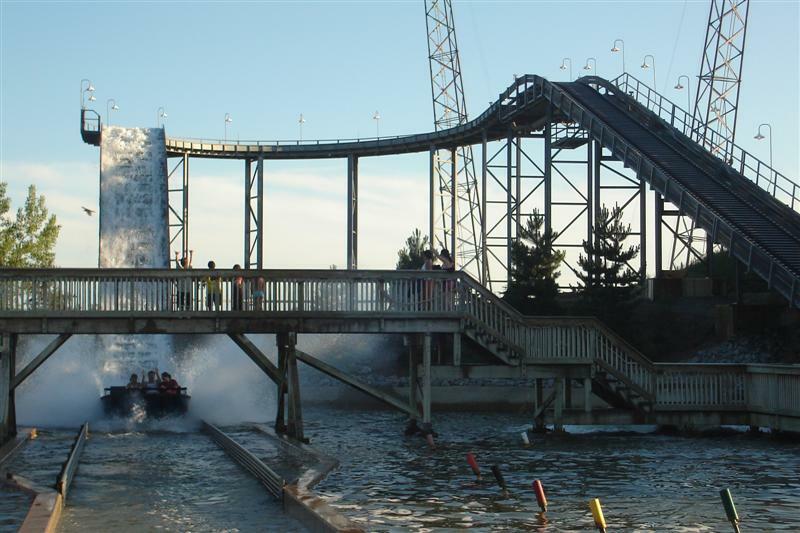 I love Darien Lake from its wet and wild water park and its cool coasters! 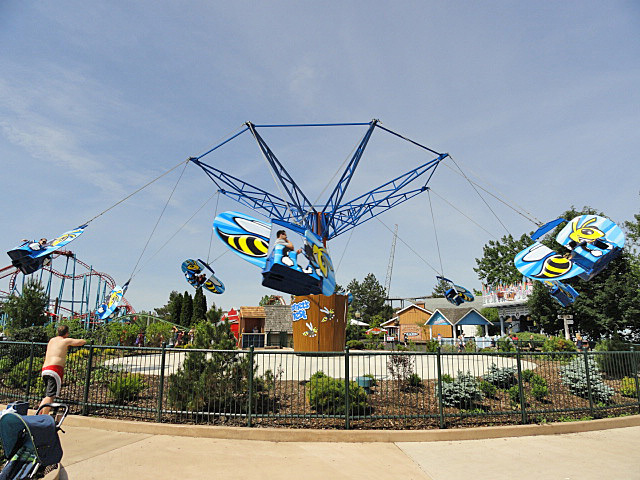 While Darien Lake's coaster collection may appear average at best, except for Ride of Steel, the park truly shines in the flat ride department. 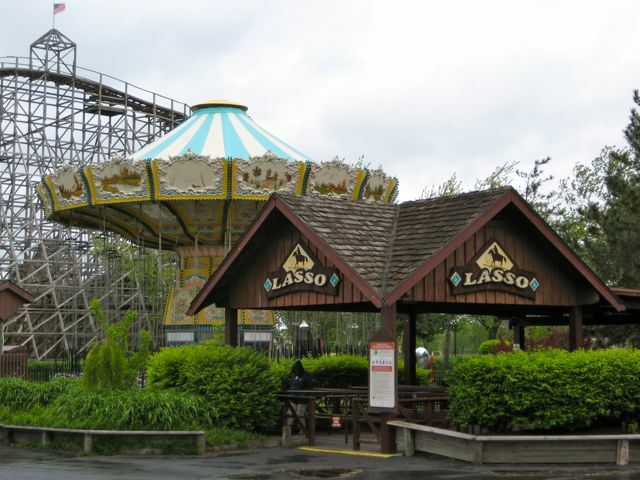 The park offers a great selection of them, including a rare Huss UFO, Huss Ranger and Mack Sea Storm. 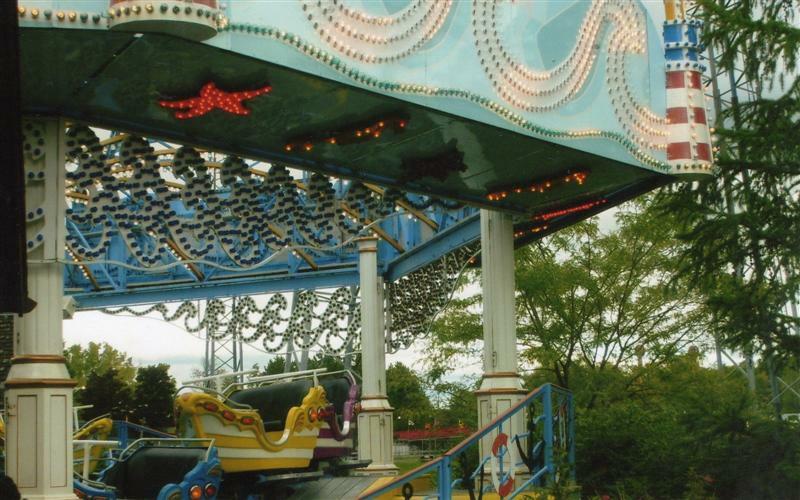 The park also features a very rare Heinz Fahtze Enterprise called Silver Bullet, which is the smallest of its kind. Viper, the park's Arrow looper, is an excellent coaster and the park's Boomerang is one of the smoothest of its kind. 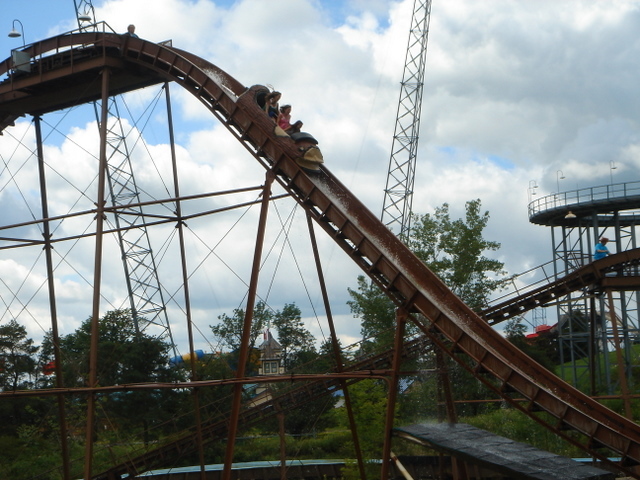 The star of the park is Ride of Steel, which you can't miss as you approach the park on Route 77. I've found the best place to eat is at Beaver Brothers, located by Boomerang in Darien Square. A bit pricey but also a bit more quality food. Darien Lake defines the word average to me: Pretty much all their coasters are average at best, besides ROS which is still fabulous. There are some wacky flats and the waterpark looked nice. There is little themeing and when I went (albeit for a few hours), there seemed to be hardly any energy, excitement, or atmosphere happening around the park. To me it was like a Six Flags Park with even less soul if that is possible! I would go again, but only if I was in the area. Fascination Parlor. Very wet water rides. Good flat rides selection. Only one coaster worth re-riding.